I give thanks to our All-compassionate Lord and Saviour Jesus Christ, Who – because of His limitless love for you – has granted you the grace to return to Him: for forgiveness, for cleansing, for healing of your precious soul. 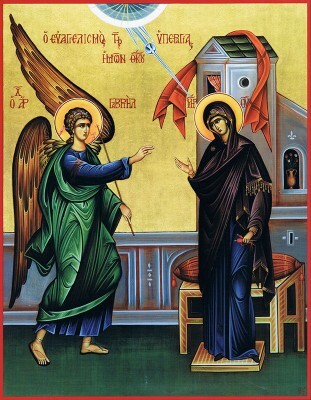 The angels in heaven are indeed rejoicing, in that you have – as did the Prodigal Son – “come to yourself.” Like him, I assume that you have also gone to your Father’s “House” and confessed your sin to your spiritual father. If not, I strongly encourage you to do so as soon as possible. Otherwise, the spiritual cancer that was caused by this sin will remain within your soul. As a man, how can I even begin to understand your pain, my dear child! However, I can proclaim to you – with total confidence – that the pain you are experiencing in your heart is a blessing. It means that you now acknowledge this great sin of abortion; understanding too that the modern methods commonly used to mask this pain in one’s soul – i.e., psychological counseling or a lifetime of daily anti-depressants – cannot effectively heal this spiritual affliction. If you are a man who either insisted that your female partner have an abortion, or agreed with her decision to do so, then I again rejoice at your decision to “come home.” You now realize that you are equally responsible for the death of that innocent child in the womb – that you too need God’s forgiveness, His healing grace. By obtaining this special Akathist, you are crying out to our Most Sweet Lord and Saviour Jesus Christ: the One Physician of our souls and bodies, Who alone can heal you. Therefore, do not despair; do not despair! You are now in the tender embrace of the One Who willingly died upon the Cross, so that you can become a citizen of Paradise. Through His Bride, Our Holy Orthodox Church, He provides for you His forgiveness in the Sacrament of Confession, as well as all of the spiritual medications needed to assure your soul’s cure from this grave sin. At the end of the Akathist, you will notice a prayer to our Most Holy Theotokos. I entreat you to always seek her intercession. Our Holy Lady’s unique and heavenly maternal love will bring comfort to you, whenever you reach out to her; and she will entreat her Son to give you His healing grace. Be assured that our Lord will heed this entreaty of His Mother on your behalf. How could He Who – at her request – changed water into wine at the wedding in Cana, not heed His Mother’s plea for the cure and purification of your wounded soul? Do not be surprised if you are occasionally reminded in your spirit of this sin. Our All-compassionate Lord permits this – not to cause you despair but to remind you that in spite of this grave sin you are forgiven, you are cleansed. 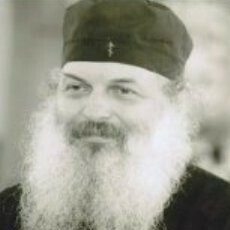 Therefore, daily give thanks to God for His great mercy; and frequently read this Akathist to Him as an expression of your thanksgiving for His never-ending love for you. Fervently entreat the Lord to allow you, before you depart this life, to come into contact with at least one woman who is thinking of having an abortion; and that He will give you the grace to be His instrument to prevent her from taking the life of her innocent child. Pray for the soul of your unbaptized child, and that you will be able to share eternity together in the Kingdom of God!